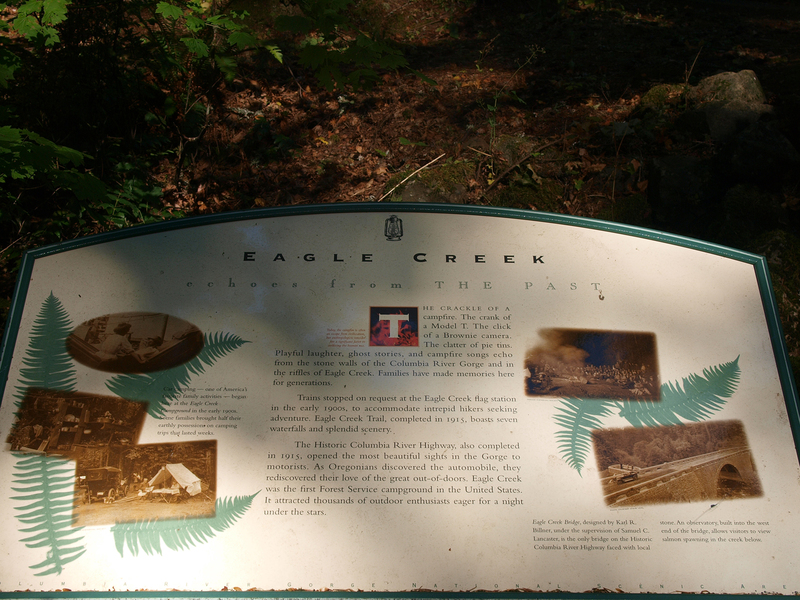 The Eagle Creek trail is one of the multitude of trail along the Columbia River. The head of the trail is located roughly a half mile from Eagle Creek Overlook along the Columbia River. The bridge mentioned on the sign is west at the Eagle Creek Fish hatchery.